Manchester United manager, Jose Mourinho said he was surprised midfielder Paul Pogba allowed Ashley Young to take a free kick during the 4-2 win over Watford at Vicarage Road on Tuesday. Young struck twice in the game, one of which was a rare free-kick. The Portuguese had earlier announced that Pogba was in charge of set-piece at the club. Anthony Martial and Jesse Lingard were the other scorers for United, while Troy Deeney and Abdoulaye Doucoure responded for the home side. Young’s second goal was an exquisite free-kick, and Mourinho was surprised he was not kept away from the set-piece by Pogba. 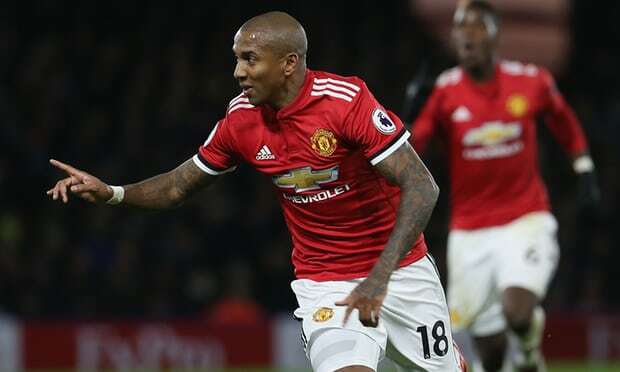 He told reporters, “Ashley Young trains at free-kicks and his conversion rate in training is good, so it was good he had the confidence to try it, after scoring the first goal. “I was surprised that Paul Pogba gave him permission. “At his age, Young’s playing better than ever and I couldn’t be more happy with him. “Last season I learned what Ashley Young can be, he gives stability in his performances and this season he is playing more regularly.